Dubai: Rare watches worth as much as $15 million (Dh55 million) will go on sale this weekend in Dubai, as Christie’s hosts its annual Important Watches Auction. The timepieces going under the hammer include a Patek Philippe owned by musician Eric Clapton that is expected to fetch upwards of $850,000, and a Rolex made for the Sultan of Oman that is estimated to sell for as much as $450,000. As with every year, the 2019 auction brings with it a trove of luxury watches once owned or gifted by Middle Eastern governments and leaders. These include a number of Rolex watches emblazoned with the UAE Ministry of Defence eagle logo and the signature of His Highness Shaikh Mohammad Bin Rashid Al Maktoum, Vice-President and Prime Minister of the UAE, and Ruler of Dubai. The presence of these markings indicates the watch was commissioned by Shaikh Mohammad during his time as defence minister, according to Christie’s. Last year, another one of Shaikh Mohammad’s Rolex watches, dubbed the ‘Maktoum’, sold for Dh595,042 to an anonymous telephone bidder. The stainless steel GMT-Master was fresh to the market, and again featured Shaikh Mohammad’s signature on the face in red. Also taking place this weekend is Christie’s Arab art sale. The work Kopf, or Head, by Syrian artist Marwan is expected to fetch as much as $300,000. “We’re seeing appetite increase for contemporary art [and] Islamic art from the region,” said Michael Jeha, managing director for Christie’s Middle East, in a recent interview. 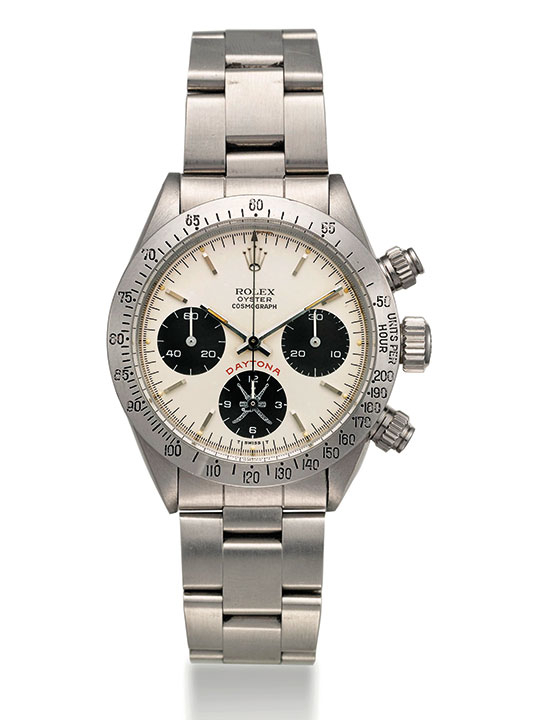 This year’s watch auction is the highest value in the history of the category in the region for Christie’s. 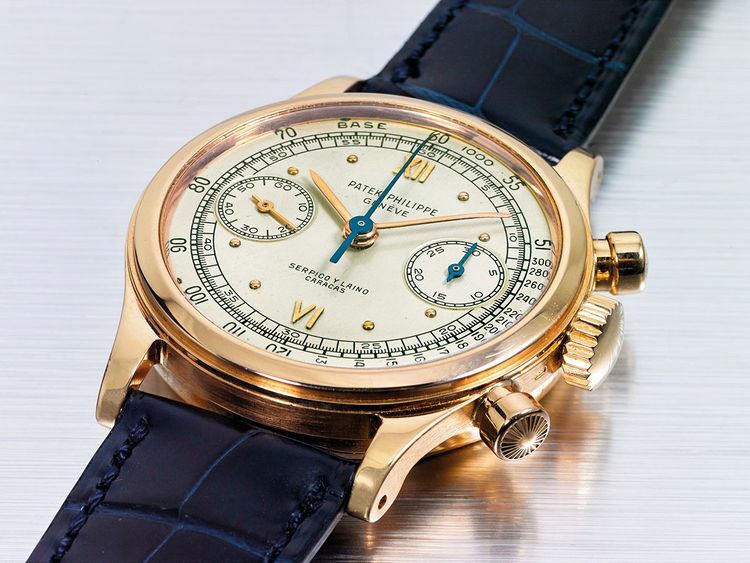 “It’s the most significant and important auction of watches in the history of the region,” Jeha added. Traditionally, personalised luxury wristwatches were gifted by Arab leaders to individuals such as family private jet pilots, oil and gas executives, and even elite British special forces commandos in the case of Oman, for their help in defeating a rebel uprising in Oman in the 1970s. “These pieces were created as gifts, often by a shaikh’s protocol department, who would commission these watches to give to police, heads of state, dignitaries, and ambassadors,” said Remy Julia, Christie’s head of watches for the Middle East, Africa, and India. With new-found wealth, some Emiratis are now trying to reclaim a piece of their history that might have gone abroad in the 1970s and 1980s. “We have sold watches that originally came from the royal family, back to young people from the same royal family,” said Malek Tarek, co-founder of vintage watch shop Momentum, located in DIFC. A rare white gold Patek Philippe watch once owned by former Libyan strongman Muammar Gaddafi is set to go under the hammer on Friday night, with an estimated sales price of $25,000 to $50,000.